2015 has been a great year for me, both in and outside of work. I’ve ridden a bike through Amsterdam, skied slopes in Bulgaria, climbed boulders in Fontainebleau, drank cocktails in Dubrovnik, eaten Michelin star food, visited Edinburgh castle, watched friends get married and shared countless good times with my wonderful girlfriend, friends and family. From a professional point-of-view, 2015 has been excellent too. I can confidently say that I’m a better designer than I was at the beginning of the year. And I guess progress is fundamentally the most important thing in any designer’s career. 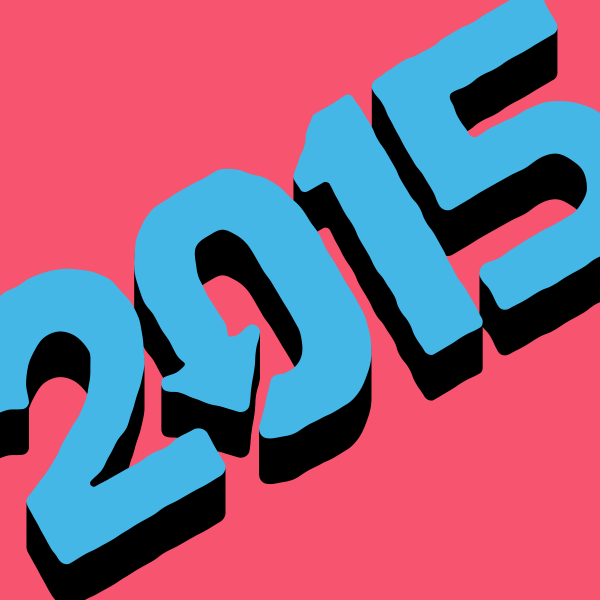 The first seven months of my year were dominated by my time at Shillington College. I’ve written at great (and somewhat tedious) length about my experiences of studying graphic design this year, after years of self-tuition. I loved being thrown back into the classroom and I gained a tremendous amount from my studies. A passion for graphic design was reinvigorated and I relished being able to sweat over projects, free from the demands of clients and budgets. I had a lot of late nights, especially in June and July as I neared the end but it was worth it. I finished up with a portfolio that I was really proud of and it was an honour to be able to exhibit it with a great bunch of classmates. To give me a reason to thoroughly research topics that interest me. To begin to build a personal brand. I set myself a target of publishing 18 posts in 2015 (one and a half per month) and I managed 14. Which I’m fairly pleased with. In May I wrote a small opinion piece about Helvetica and shared it on Web Designer News. Unwittingly I managed to amass several hundred social shares and nearly 10’000 visitors to the piece in a week. I tried to emulate this success with a couple of posts about web content (content marketing is something I’ve taken a keen interest in this year). I was pretty happy with them both but I couldn’t get anywhere close to the traffic Helvetica got. Even my nerdy compendium of grotesque typefaces didn’t stick either. I’m keen to continue blogging as much as I can next year, focussing upon writing quality well-researched articles and opinion pieces. 2015 was an exciting year for me at Digital Results as I was able to take on a handful of small branding projects. I’d made a few logos in the past but I had always struggled to create strong identities. Shillington taught me a rock-solid branding process however, and armed with this knowledge I was able to approach these new professional projects with greater confidence. I got a dream project mid-way through the year. I was asked to create a logo and identity for a small film studio. They wanted something that was both rustic and trendy, something that would appeal to creative media types. I created a logo based on retro technology, using the stereotypically ‘techy’ Eurostile font in a slightly kitsch way. I felt it was a new take on the very overdone hipster look. I probably didn’t explain my vision well enough though and the client selected a more ‘regular’ design that I’d created. I think it’s a decent logo though and the client was really happy. It was great to see such immediate payoff from what I’d learnt at Shillington. 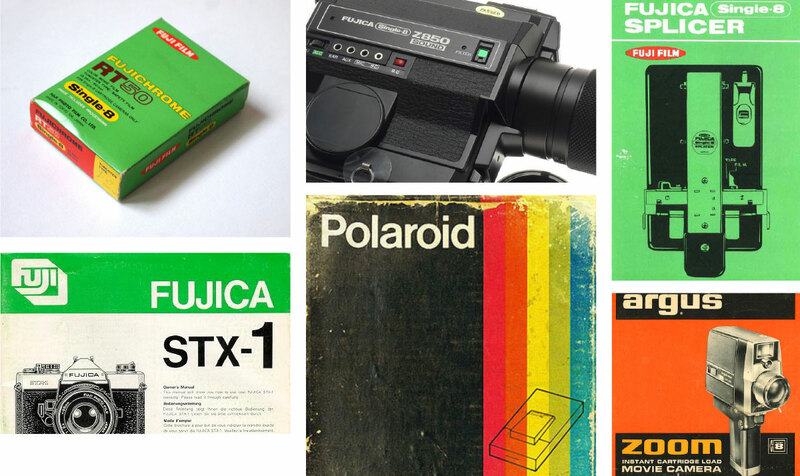 This moodboard of retro camera technology inspired my initial logo concept. After the success of this project I worked on some branding for a healthcare conference. I worked within the confines of an existing editorial brand so the only new elements I actually created were the star motif and the number. I spent a good deal of time developing a full identity though, including colours and typography. The client was really happy with the result, which was great as I felt I’d taken a very considered approach to a project that could have been completely over-thought. From my point of view, I felt the brand begun to break down a little in application however. I’d not particularly taken into account that the client would want details such as date, location and strapline to be ever-present. This turned a simple logo into something altogether more confusing as I struggled with hierarchy. In hindsight I wasn’t rigid enough in documenting exactly how the brand should be used either. The project was still a success I think but I certainly learnt a lot from it. My bread-and-butter, day-to-day work is designing websites. I’ve done rather a lot of these this year, some of which I’m pretty proud of. 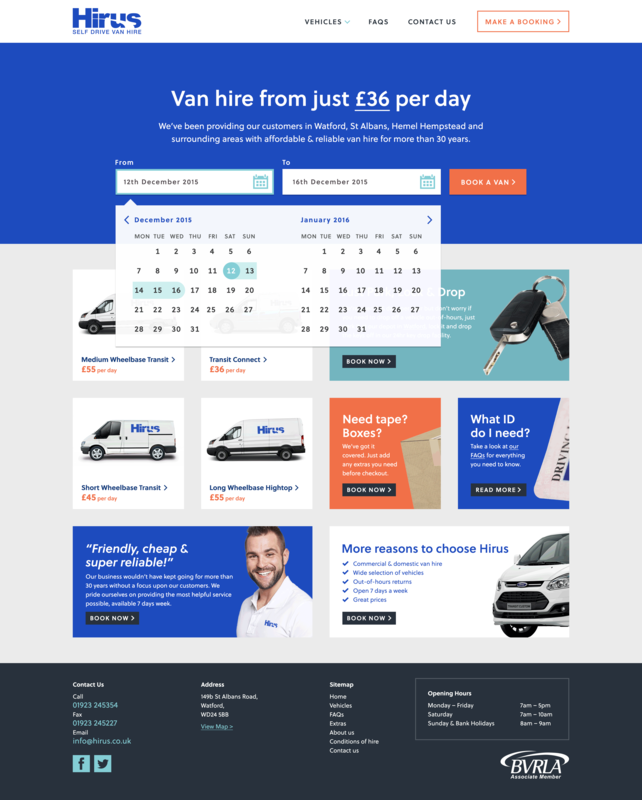 I’ve chosen a very recent project to highlight — below is a home-page design for a van hire company. I particularly like this one because I feel I was able to create a no-nonsense, easy-to-use interface that is both contemporary and very on-brand. It is a pleasure to work on projects with this client as well because they’re enthusiastic and very trusting, which is really important. My final professional highlight of the year came in December — I did my first bit of public speaking at a mini web conference. It was nerve-wracking and challenging for me but I enjoyed it a lot. I’m hardly a natural public speaker but I’m keen to explore this area a bit further if possible next year.